My customer wanted to refurbish the family bathroom for his tenants as they were expecting a baby in the new year. 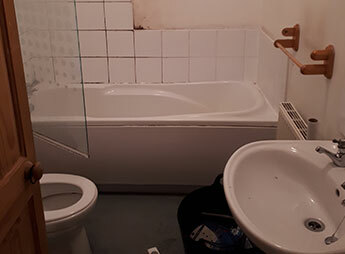 The old bathroom was functional but tired and needed a refurbishment. 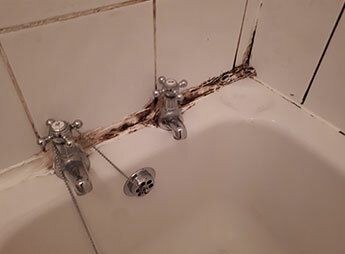 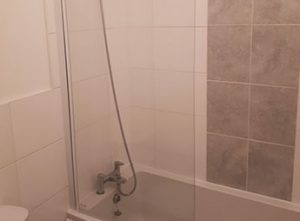 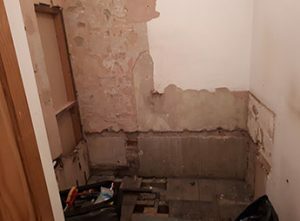 The old bathroom was removed along with the electric shower and replaced with a new bathroom suite and bath mixer tap which would run off the newly installed combi-boiler and provide a much better shower. 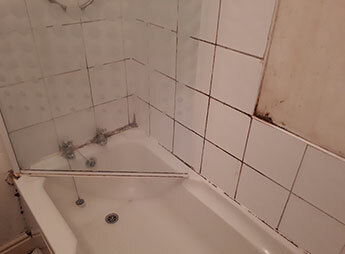 New tiling was hung in white with a vertical feature tile to break up the white tiles. This would add a feature without being so unique as to date quickly. 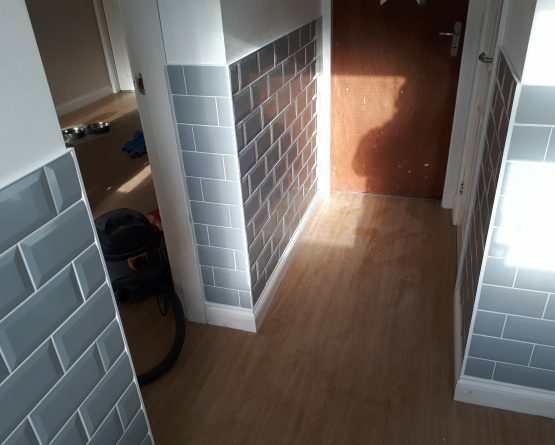 The grey feature tiles were complimented by the grey wood effect vinyl floor tiles and chrome fittings. 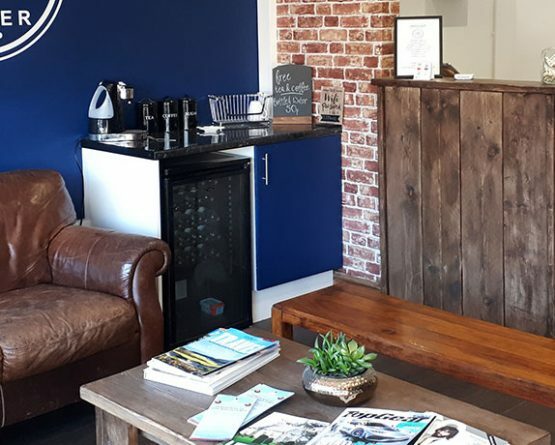 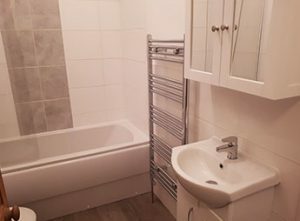 The old standard radiator was replaced with a chrome towel rail which would provide very similar heat but would allow a more useful addition to the bathroom. 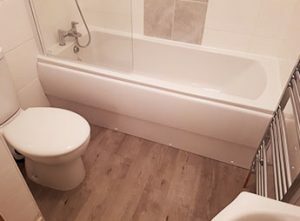 All work was completed by me – Tiling, Bathroom replacement, flooring, plumbing etc.